Opera have released a press release stating that they now have over 100 million users. This figure includes 50 million users on Windows, Mac and Linux, plus another 50 million users browsing the web with Opera Mini on their mobile devices. 100 million users comes after a staggering 30% jump in desktop users from the same time last year, mostly attributed to the release of Opera 10.x browsers. “Our focus on speed, security, innovation and usability continues to yield results. We always listen to the needs and wants of our users, and they reward us by choosing Opera,” said Jon von Tetzchner, Co-founder, Opera Software. Congratulations to Opera on the achievement, and new users can download Opera for their computer or mobile device from the Opera website. Firefox has 400 million on the desktop. Since their figures are around 25% of the market, that means Opera desktop has 5% of the maket. 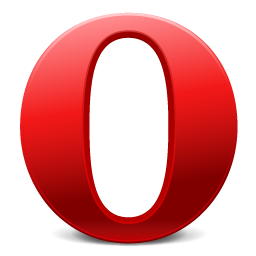 Opera’s share is closer to 3% when you combine both Opera Mini and Opera’s Desktop browsers. The validity of the figures are hard to tell, but I get the impression that Opera would count the number of phones that have been sold with Opera Mini pre-installed, highly inflating the figure. Mozilla on the other hand, count their users based on the number of individual requests they get to their update server (which happens once every 3 days for Firefox users), so it would be fair to assume the Firefox figures would most likely be more accurate, especially considering the 100 million Opera users has come from a glorified press release.